Henri Brunier (of Vieux Télégraphe fame) bought this Châteauneuf-du- Pape estate in 1986. The 27 hectares of vineyards are located on a rocky plateau north of the village. They are planted with 70% Grenache, 20% Syrah, and 10% Mourvèdre and the average age of the vines is over 40 years old. The estate is now run by brothers Daniel and Frederick Brunier. A new winery was built in the mid 1990s and was first used for the 1998 vintage. The grapes are hand picked and are then fermented for 15-20 days in temperature-controlled stainless steel tanks. The wine remains in tanks for a further year before being transferred into oak casks where it is aged for a further 8 months. It is bottle unfined and unfiltered. 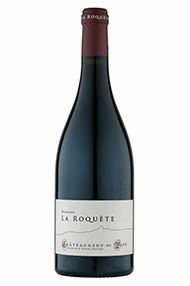 An exemplar of the quality of old-vine Grenache (over 80 years in this case) Châteauneuf-du-Pape L’Accent de Roquette is precise and articulate with notes of kirsch, raspberry, chocolate and aniseed and, from the 10% Mourvèdre, more savoury gourmand bass notes. This is what Châteauneuf-du- Pape is all about and it will repay careful cellaring. Daniel Brunier detects a ‘strong sinewy’ character in his 2010s, something of the 2005 in other words, but with greater depth. 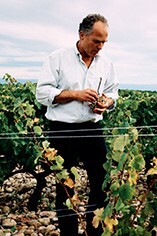 His wines are perhaps more Roundhead than the Cavalier vintages of 2009 and 2007 and will be very long-lasting as a result. 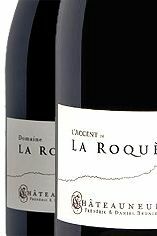 The on-going evolution ( if you will pardon the tautology) of La Roquète continues to impress and les Pallières bears virtually no resemblance at all to the raw and sinewy Gigondas I first encountered, with no lack of trepidation, a decade ago.